Yerevan, February 27, 2018 - Reza Ardakanian, Minister of Energy of Iran, told reporters today in Yerevan that Iran views Armenia as a window towards entering the Eurasian Economic Union (EAEU) markets — which comprises Armenia, Russia, Belarus, Kazakhstan, and Kyrgyzstan. Both countries are also negotiating a new deal with respect to the exchange of electricity for the gas deal. 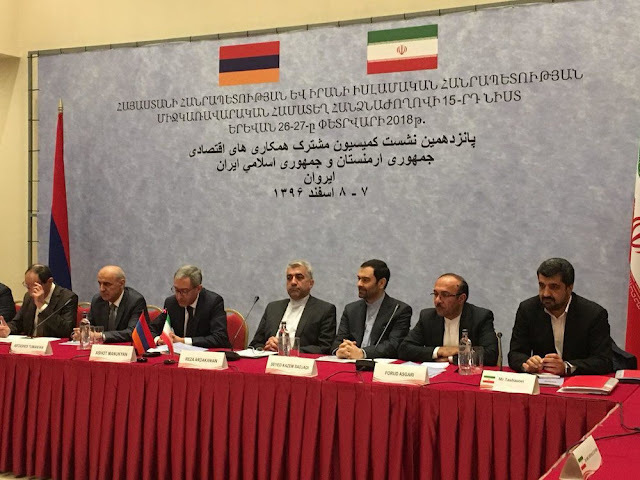 As per the current agreement, Armenia receives about 370 million cubic meters of gas a year from Iran, which is converted into electricity and is transmitted back to Iran. However, Ardakanian did not mention the specific price of the new deal at which Iran is ready to sell gas to Armenia and neither said how much Iranian gas supplies to Armenia could be increased after the installation of the 3rd Iran-Armenia power transmission line with a capacity of 400 kV, construction of which is stated to be over by 2019. The final outcome is awaited. He added that the development of international transport corridors and multimodal cargo transportation, as well as Iran’s possible participation in the construction of the North-South Road Corridor in Armenia, also will play a crucial role. The economic blockade imposed on Armenia by Turkey and Azerbaijan have left Armenia's other two neighbors, Iran and Georgia, as Armenia's only two land routes to the outside world. Earlier in December 2017, Meghri Free Economic Zone (FEZ) was inaugurated in the southern town of Meghri bordering Iran, which complements Aras Free Economic Zone in Iranian side. 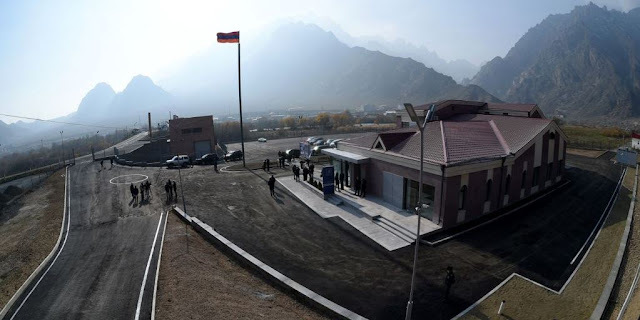 In August 2017, a memorandum of cooperation between free economic zones - Meghri and Aras - was signed by both governments.The Meghri FEZ is supposed to house up to 70 companies, which are expected to invest about $120 million, create about 1,500 new jobs and export goods and services worth about $250 million. The first phase of the construction with minimum necessary infrastructure has been completed. In the second stage, FEZ will be expanded by additional 70 hectares, by the year-end. Also, Iranian companies are considering the possibility of investing in the construction of the Meghri hydropower plant as a part of an agreement, signed between Armenia and Iran back in 2007. The Meghri hydroelectric power plant, which was to straddle the border river, was to have the capacity to produce 130 megawatts (MW) of electricity. Construction of the power plant was to start simultaneously in Armenia’s Meghri and Iran's Qarachilar. Each of the stations was to annually produce 793 million KW/h of electricity. However, according to Armenia’s deputy minister of energy infrastructures and natural resources Hayk Harutyunyan, due to environmental problems related to the reduction of water volume in the Arax River, as well as the increase of water intakes from Turkey in the northern part of Armenia, it was necessary to revise this project towards capacity reduction to about 100 MW.